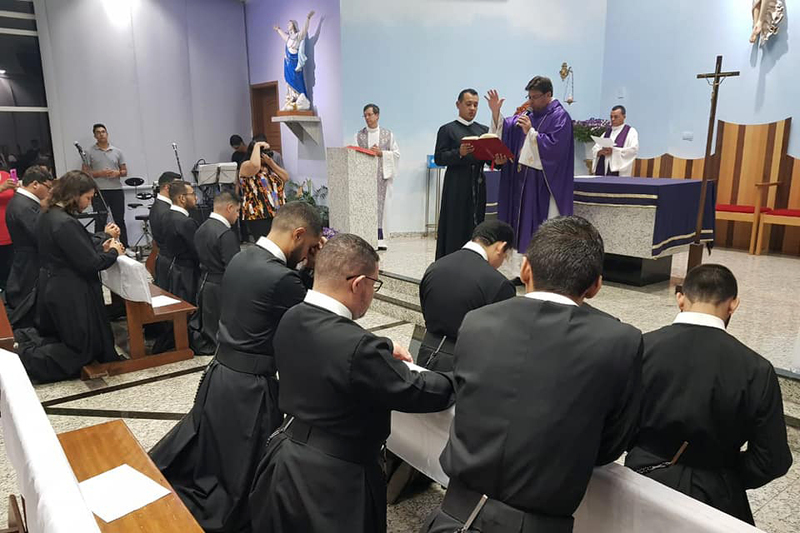 (Paraná, Brazil) The twelve young Redemptorist Missionaries were instituted as readers and acolytes at the Mass celebrated by the Provincial Superior Father Edilei, on Saturday evening of March 30 in the Assunta ao Céu community in Londrina Paraná, Brazil. 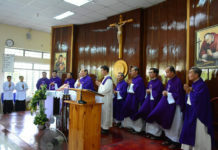 The “reader” is the person who in some Christian churches, such as the Catholic Church, the Anglican Church, and the Orthodox Church, is in charge of proclaiming the word of God and other texts in liturgical celebrations. Readers are often given other pastoral tasks. Because of the importance of the reader’s office, the Churches have foreseen a liturgical rite with which it is conferred. 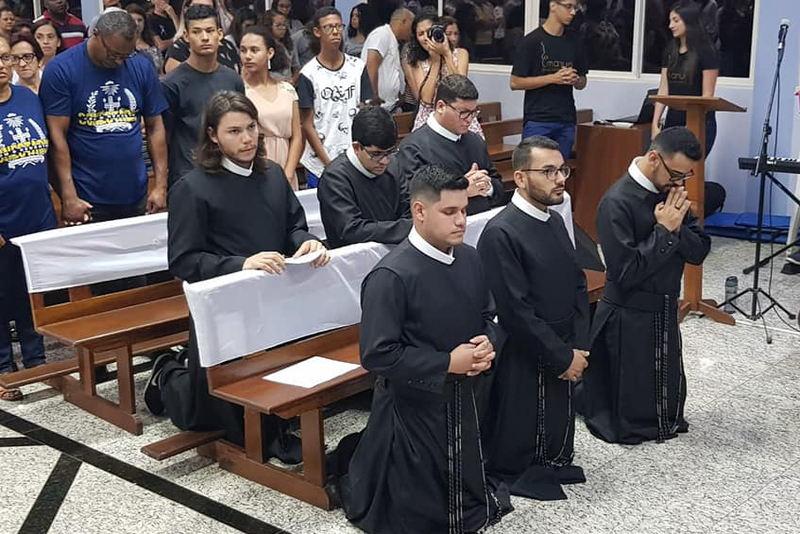 In 1972 Pope Paul VI with the brief apostolic Ministeria Quaedam ended the granting of the minor and subdiaconate orders. 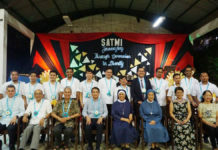 In their place he instituted the “ministries” of “reader” and “acolyte”, maintaining the name and attributing to them other tasks, besides the traditional ones. 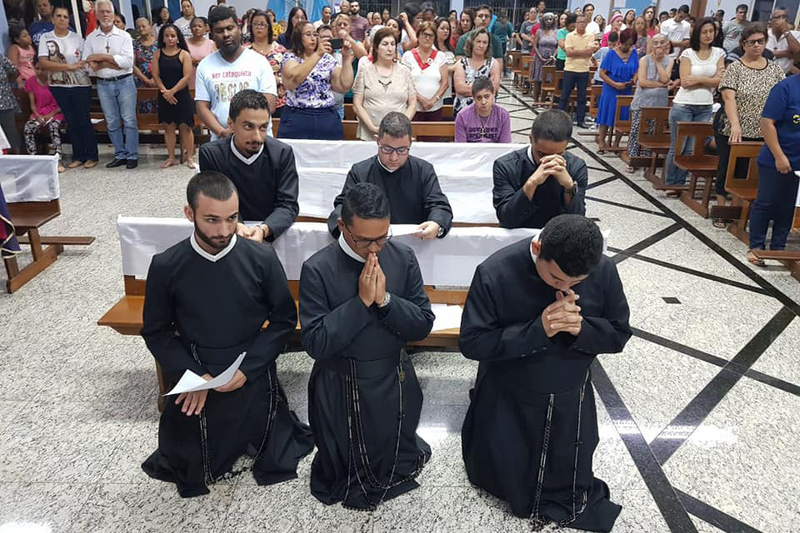 Today the acolyte is a male layman in all respects (not an ordained cleric) who in the Mass helps the bishop, the presbyter or the deacon in the preparation of the altar and the sacred vessels. He is also considered extraordinary minister of Communion: this means that the person who presides over the celebration can call him to distribute communion or bring it to the sick. 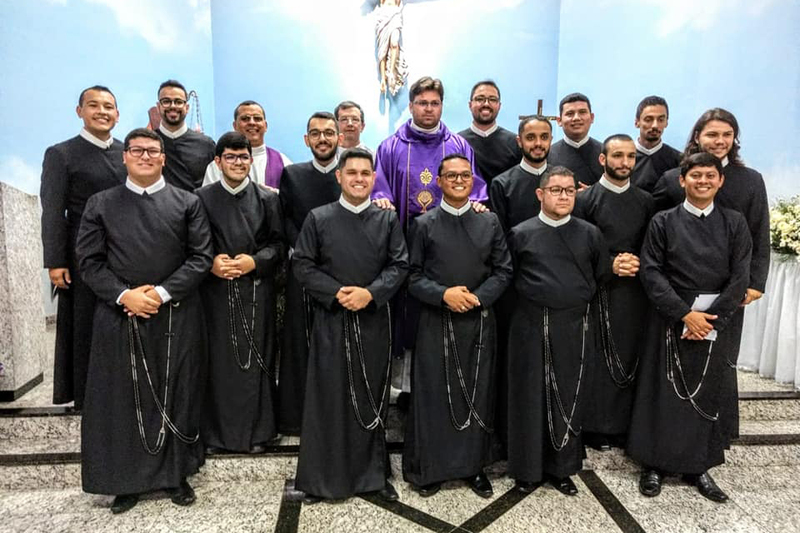 The ministry of the acolyte continues to be a step in the institutional journey towards the diaconate and the priesthood. We pray for the perseverance of these missionaries always asking the Lord to send more workers!